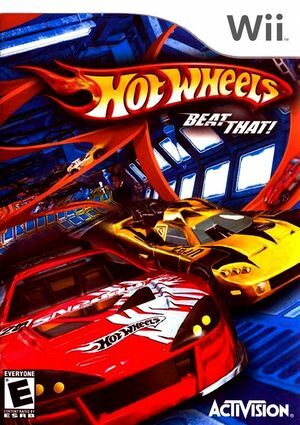 In Hot Wheels: Beat That!, sometimes, the biggest action comes in the smallest package! Get behind the wheel of any of 30 cars pulled straight from the Hot Wheels lineup. Race on 12 tracks built to scale - corkscrews, loops, shortcuts and hidden paths, chokepoints, and interactive elements - then battle on four different battlegrounds. Put the pedal to the metal in five different gameplay modes, including Race, Eliminator, Rampage, and Battle. The graph below charts the compatibility with Hot Wheels: Beat That! since Dolphin's 2.0 release, listing revisions only where a compatibility change occurred. This page was last edited on 15 January 2018, at 08:23.